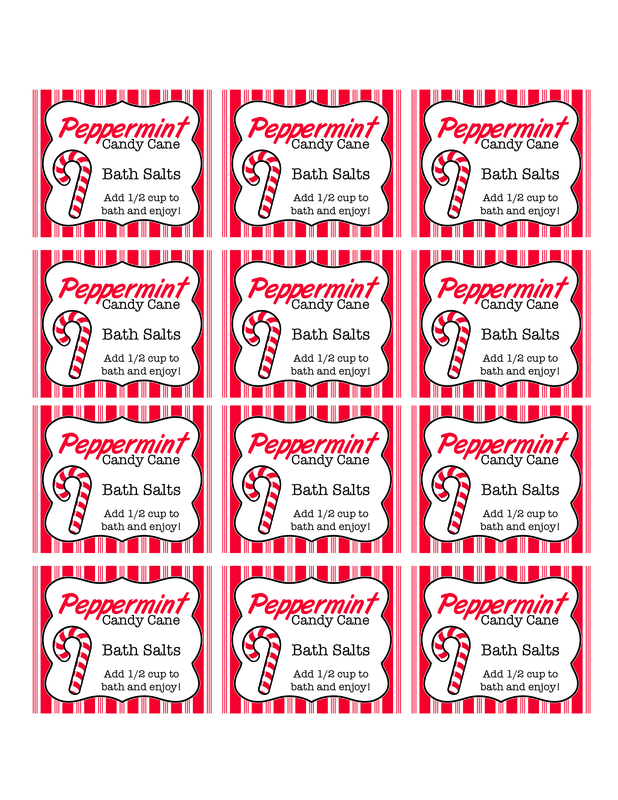 For the 3rd day of Christmas gifts, we have Peppermint Candy Cane Bath Salts. These bath salts smell amazing when added to your bath. Don't forget to treat yourself to the leftovers! For this project, I used all different jars. You can use any size or shape you wish. In a large bowl, mix Epson salt, sea salt, baking soda and peppermint essential oil. I found it easiest to mix using my hands since the essential oil will make little clumps that will need to be broken up. I used about 70 drops of peppermint essential oil, but you can vary that to your liking. Separate into 2 bowls. In one bowl, mix in red food coloring. Mix a little at a time until you get the shade of pink/red that you'd like. I used about 50 drops of red. Keep in mind, when added to the bath, it will turn the water red a bit. Less drops equal less red water. Using your canning funnel, pour in 1/2 cup of either red or white bath salts. Then keep filling your jar alternating colors until the jar is full. After each layer, you can gently use a spoon to smooth out your layers. You can even tilt the jar while filling them to make the stripes diagonal. Decorate your jars. 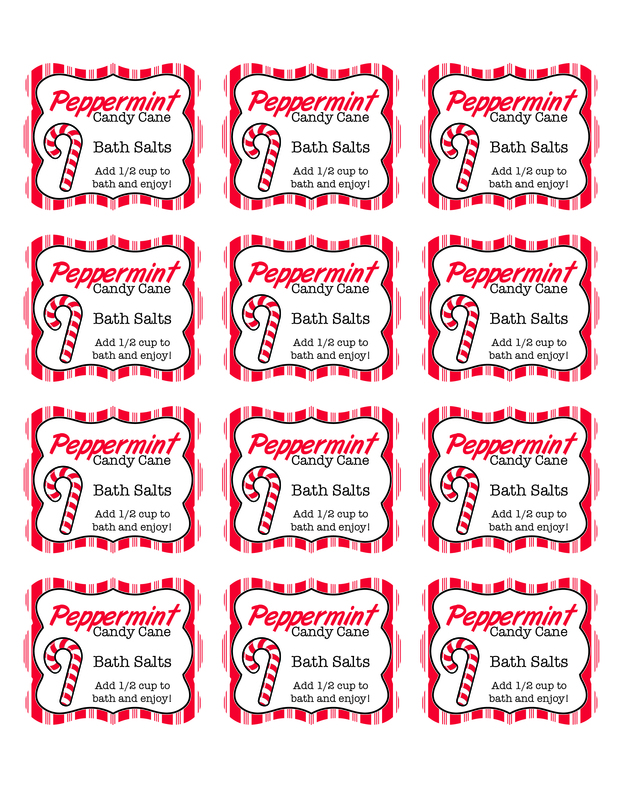 Feel free to use the free printables below or order your custom personalized stickers from Davet Designs.